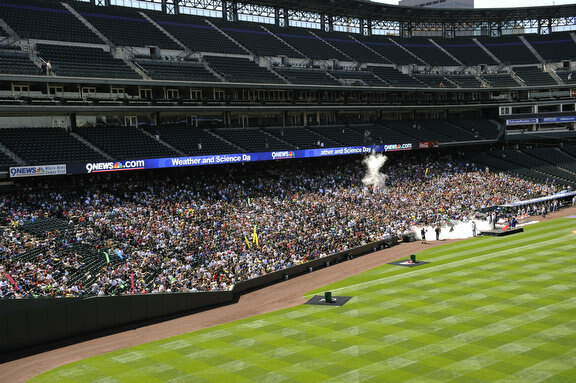 We’re honored to get to say, “We did it!” With a final count of 5,401 people, all armed with Windbags, the seats at Coors Field were flooded with science as we set out to set a new world record for the the Largest Physics Lesson. 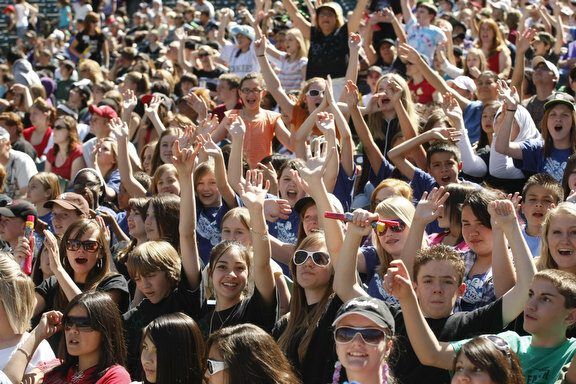 What a sight… a sea of Windbags with a special fly-over by Sky9, that captured the moment on film from the helicopter. 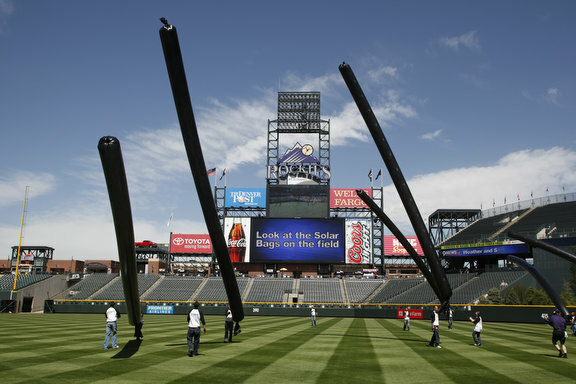 The requirement for Guinness World Records was that the lesson last at least 30 minutes, but, we decided to take it to the next level and go for a full 51 minutes. 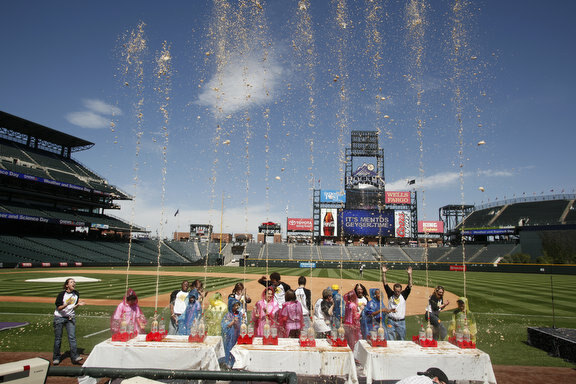 There were Mentos Geysers, Rockies players with Potato Guns, a lesson on Bernoulli’s Principle, and, of course, a giant kaboom for the finale. 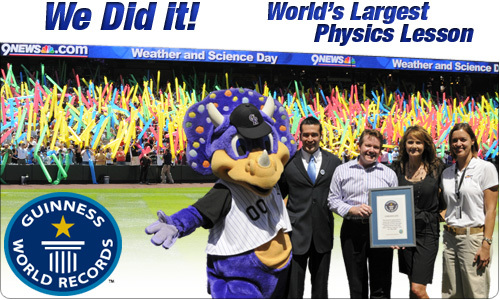 And, at the end of the lesson an official Guinness World Records adjudicator was on hand to present our team with a certificate for the new world record. 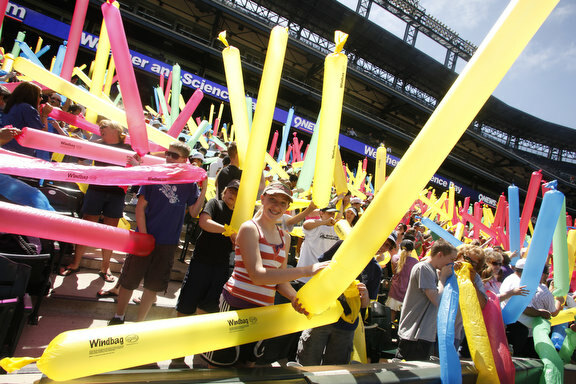 Learn more about all of the science experiments featured on Science Day at Coors Field. 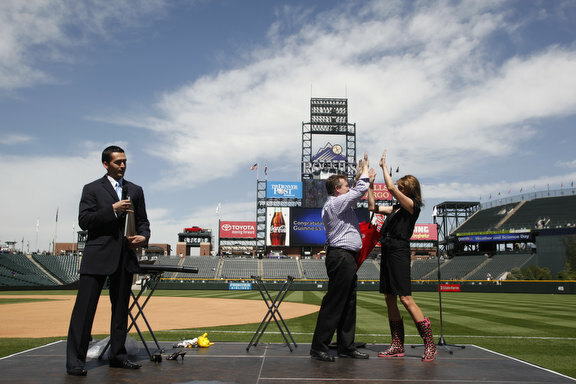 DENVER, COLORADO – Steve Spangler Science, in conjunction with 9News and the Colorado Rockies, were awarded a Guinness World Record May 7, 2009 for the Largest Physics Lesson. 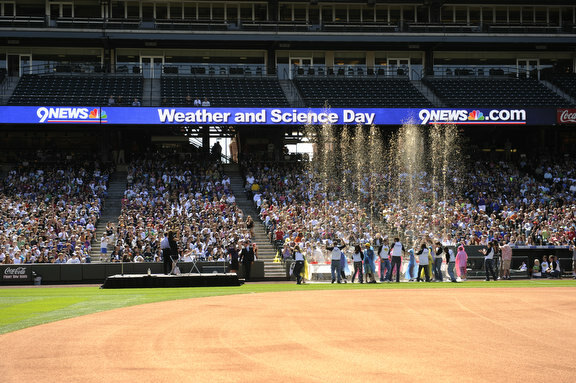 As part of the First Annual 9News Weather & Science Day, Steve Spangler Science was awarded the Guinness World Record for the Largest Physics Lesson, with 5,401 participants over a span of 51 minutes. 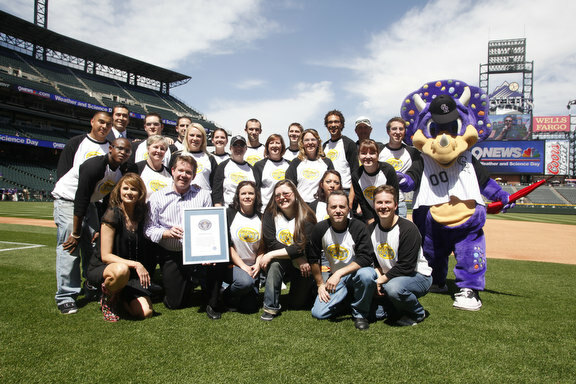 Danny Girton, official adjudicator for Guinness World Records, was on hand to verify the record-breaking event and presented Steve Spangler and his team with an official Guinness World Record certificate at the close of the presentation. 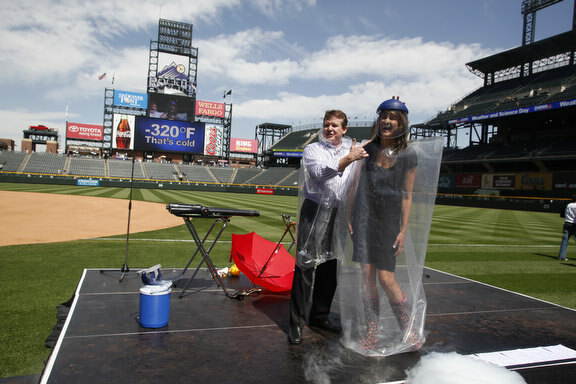 Steve Spangler and Kathy Sabine, meteorologist from 9News (KUSA-TV in Denver), were hosts for the day’s activities. 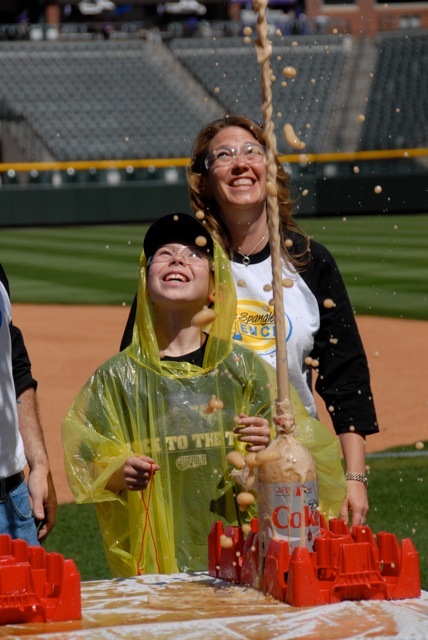 Each participant (5,401 in all) participated in a hands-on science demonstration as part of the event and took home one of Spangler’s Mentos® Geyser Test Tube experiments to surprise their friends. 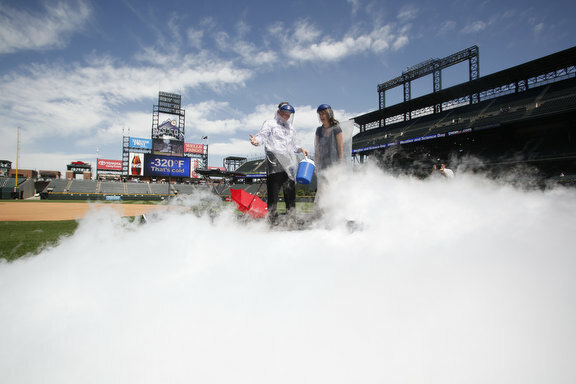 “It was really great to see so many kids getting excited about science, and I’m pretty sure they learned a thing or two along the way,” said Sabine after the event where she was soaked in both diet soda and a liquid nitrogen cloud – all in the name of science. 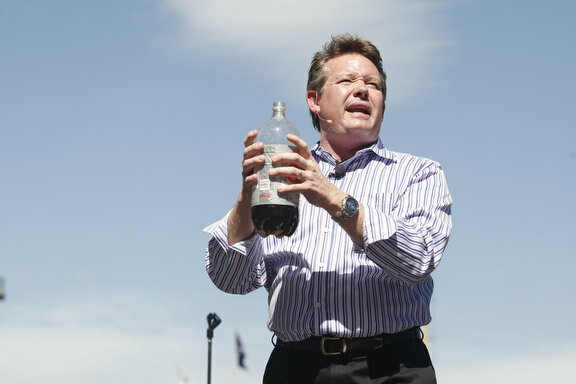 Steve Spangler has been sharing his passion for making science fun with Colorado students and teachers in classrooms and on television for twenty years. 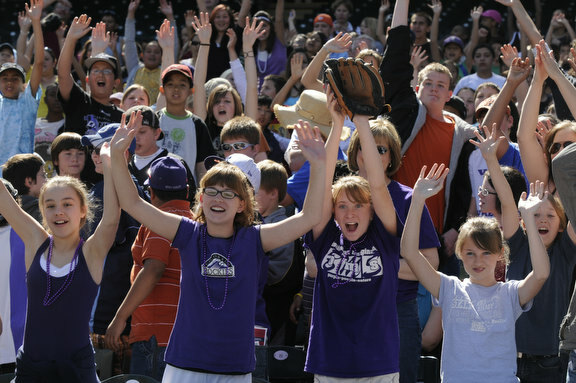 Steve is known for getting people excited about teaching and learning with his eye-catching – and often explosive – demonstrations. 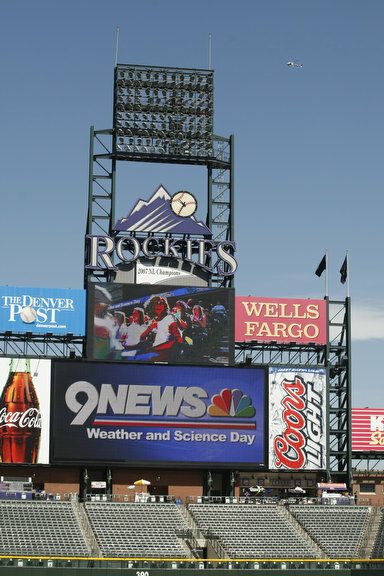 “While obtaining the world record was terrific, what’s even more important is that our partners, 9News and the Colorado Rockies, allowed us the opportunity to show thousands of kids that science is not only fun, it can be meaningful too,” said Spangler after throwing out the first pitch for the Rockies vs. Giants game following Weather and Science Day. 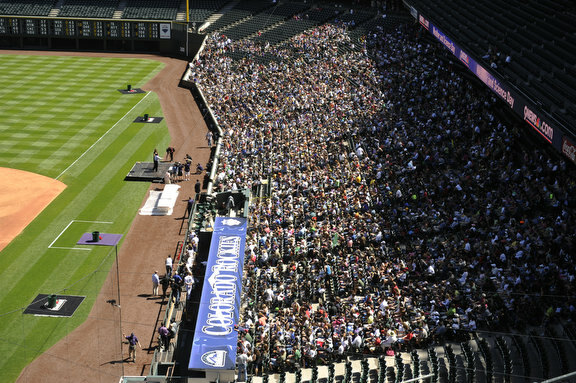 Here are a few of our favorite images from the event. 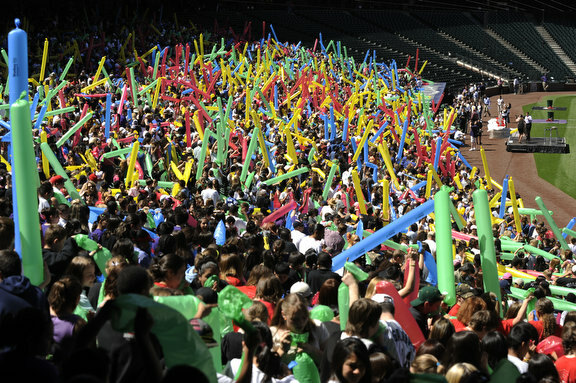 For more pictures of the event, visit our Spangler Science Guinness World Record photo collection. 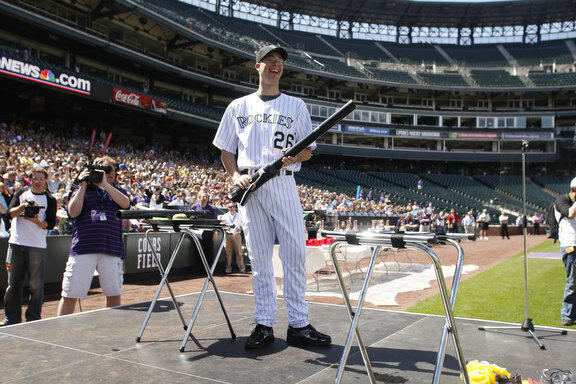 Congratulations on the world record. It is well deserved! Keep on WOWing us. 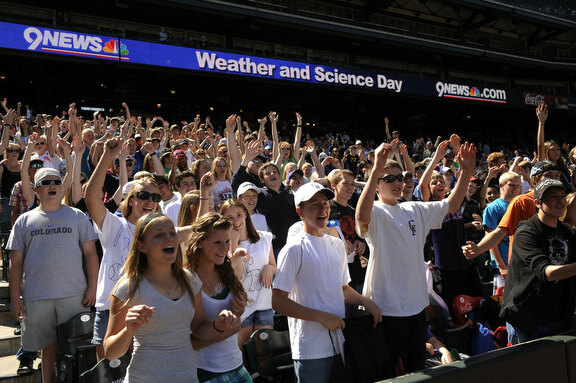 You guys are fantastic. 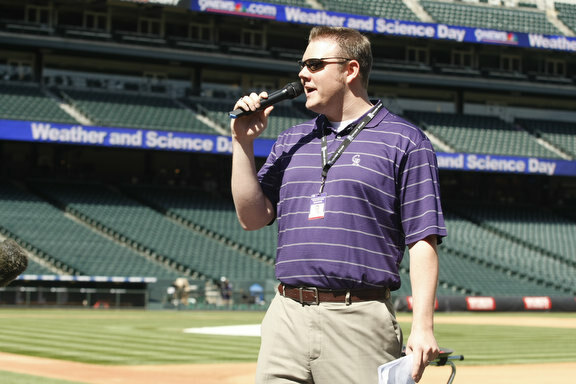 When I first met Steve at a teacher’s conference in Anaheim, CA, he reminded me of what my junior high teacher did that no one else seemed to do…..make science fun!